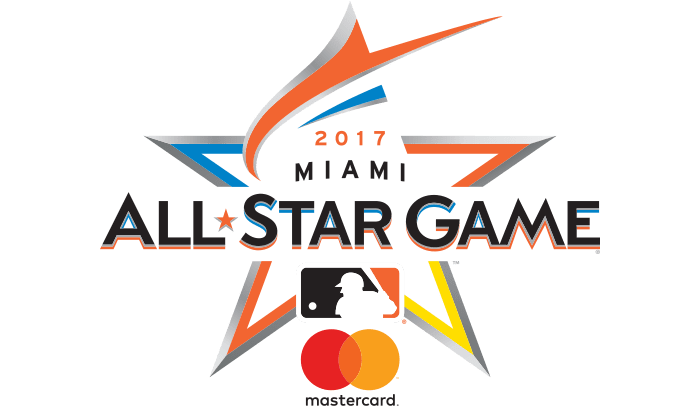 The 2017 Midsummer Classic is about a week away and most of the stars have been selected as of Sunday night. For now, it’s time to take a look at those who have been nominated for the final vote contest in the American League and National League. Within the following 10 players you have guys with speed, power, a high average, or excellent on base percentage. But, what I find unusual is that all ten nominees are all infield positions. None of them play the outfield on a regular basis. Kris Bryant can play the outfield, therefore I wonder if fans will look at that and give him a slight edge over the other 9 candidates? SS Elvis Andrus, Texas Rangers: The 28-year-old middle infielder is staring at a career year at the dish. Andrus is carrying a .302 average and has already cranked 11 home runs, passing his previous career high of 8 last summer. The Rangers’ shortstop has driven in 50 runs so far, which is 19 away from tying another career high. Andrus has also swiped 20 bases to this point. SS Xander Bogaerts, Boston Red Sox: Boston’s shortstop is batting at a .314 clip through 303 at-bats this season. Bogaerts has lifted 5 long balls and has driven in 39 runs. SS Didi Gregorius, New York Yankees: Gregorius lost time early on in the season with an injury, but has batted at a .310 clip since his return. He has hit 10 home runs and has driven in 36 runs. 1B Logan Morrison, Tampa Bay Rays: Morrison has been tough to face this season as he has already hit a career high in home runs with 24. Along with that number, he has driven in 57 Rays and has scored 46 of his own. His average currently sits at .256, but it’s an efficient mark for a left-handed hitting first baseman that is doing damage. Morrison has also drawn 47 walks on the campaign. 3B Mike Moustakas, Kansas City Royals: It’s safe to say that Moustakas has recovered well from his ACL injury that was sustained last season. In 289 at-bats, he has cranked and tied a career high in home runs with 22. 49 runs batted in, 40 runs scored with a .270 average for the 28-year-old. 1B Justin Bour, Miami Marlins: Miami’s big left-handed bopper is hitting .285 on the season with 18 big flies and 53 runs batted in. 3B Kris Bryant, Chicago Cubs: The reigning NL MVP is hitting at a .263 clip this season. Bryant has blasted 16 home runs, has driven in 32 runs and has scored 50 runs. 3B Anthony Rendon, Washington Nationals: Rendon has put together a strong campaign through the first three months. His batting average is at .297 and he has lifted 16 home runs. Rendon has driven in 51 runs and has crossed the plate 43 times. Washington’s third sacker has more walks than strikeouts (45/43). 1B Mark Reynolds, Colorado Rockies: The 33-year-old continues to hit for power as he has belted 19 home runs in 283 at-bats. Reynolds is batting .286 and has driven in 61 runs for the Rockies. 3B Justin Turner, Los Angeles Dodgers: Turner missed time to an injury this season, but came back ready to rake for the Dodgers as enters the day with an average sitting at .382. He has launched 7 home runs and has driven in 31. All ten players listed above are deserving of an All-Star selection, but only two of the ten nominees will be selected later this week, one from each league. Who do you want to see in Miami? You can vote on MLB.com until Thursday at 4pm with this link. ← Previous Story Living that Angel Life?